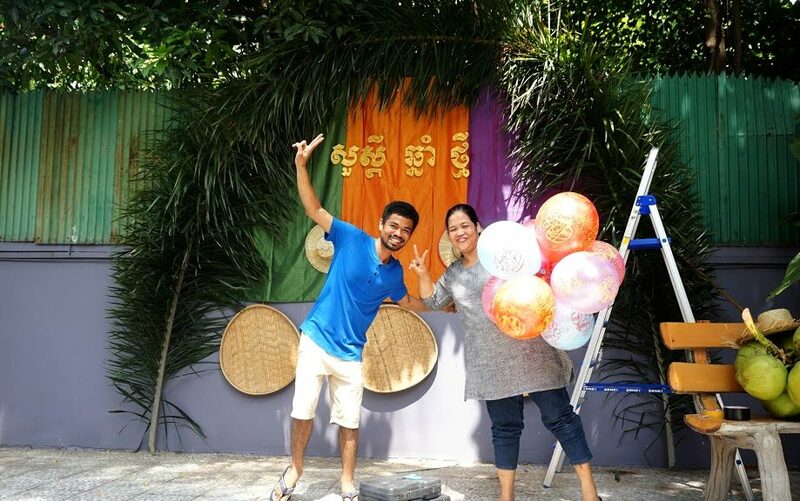 HomeHostel BLOGHappy Khmer New Year! Happy Khmer New Year or as the locals say “Rikreay​ chhna​ thmei”! This is the most important holiday in Cambodia. Like most people, we wait for this special day more than any other day of the year. As this is the time to enjoy time with family and celebrate. We like celebrations and events at Envoy. So, what better way to spend the Khmer New Year than with a fete in the presence of precious family? By no means could we miss this great opportunity for a get-together in a friendly atmosphere to celebrate the beginning of the year. Hence, a big celebration with our dear Envoy family and guests was held at Envoy Hostel Phnom Penh. Traditional games, delicious food and joyous singing and dancing made our day an unforgettable one. Our crew helped prepare beautiful and creative decorations, setting the scene for this wonderful occasion. We had a wonderful celebration thanks to our talented and committed crew and wonderful guests. We appreciate your input, time, enthusiasm and beautiful smiles.